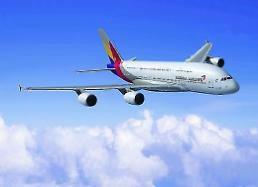 SEOUL -- South Korea's top financial regulator played down concerns about Asiana Airlines' liquidity woes, saying the country's second-largest flag carrier would see an improved cash flow if it solves its accounting problem. Asiana has tried to resolve liquidity concerns and repay its maturing debt by raising money through asset sales and the issuance of convertible bonds and asset-backed securities. 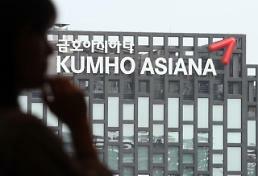 Asiana's parent group, Kumho, has been under pressure from creditors to ease a cash crunch. However, Asiana received a qualified opinion from outside auditors last week due to its unclear 2018 financial statement. Creditors are now concerned about a possible downgrade by rating agencies that could affect the issuance of bonds and debt repayment. 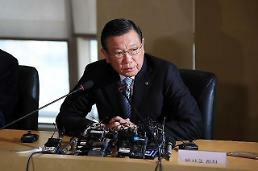 Financial Services Commission Chairman Choi Jong-koo said Monday that there would be no problem with repayment if Asiana solves its accounting problem because asset-backed securities and future accounts receivables are collateralized. 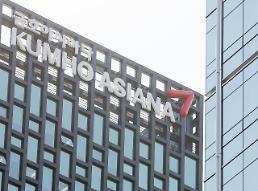 He urged Asiana to provide sufficient audit evidence. "Fundamentally, the company and its major shareholder should have more sincere measures that the market can trust," Choi told reporters during a business trip to provincial cities.